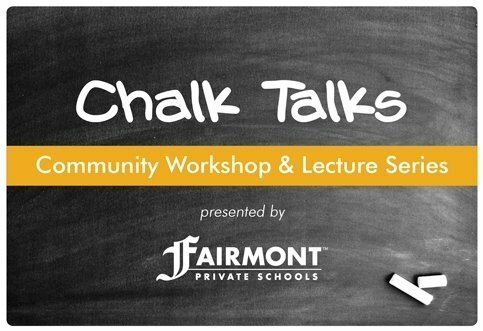 Two years ago, Fairmont began hosting "Chalk Talks"--a bi-annual series of workshops and lectures open to Fairmont families and the community. We wanted to bring in great speakers on topics that parents care about (education, health & wellness, online safety, etc) and extend the Fairmont learning environment to parents and grown-ups, because we believe you should never stop learning. We've had some awesome events with speakers like Chef Tanya of Native Foods, Derek Sabori of Volcom, and Jack Lindquist of Disneyland. To share these speakers' knowledge with a broader audience, we've decided to start re-capping our Chalk Talks on our blog in this new "Chalk Talk" category. 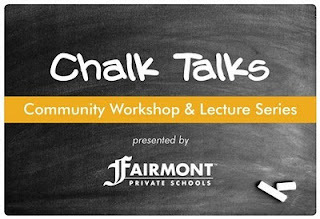 We kicked off our spring 2012 Chalk Talk series in early January with Becoming Bilingual at our Anaheim Hills campus and then heard from our Director of Education, Sandy Cosgrove about Fairmont's 2011 Academic Outcomes at our inaugural Fairmont Expo. At our third Chalk Talk last week, a panel of college admissions and child development experts shared "What Every Parent Should Know Before Your Child Turns 18." 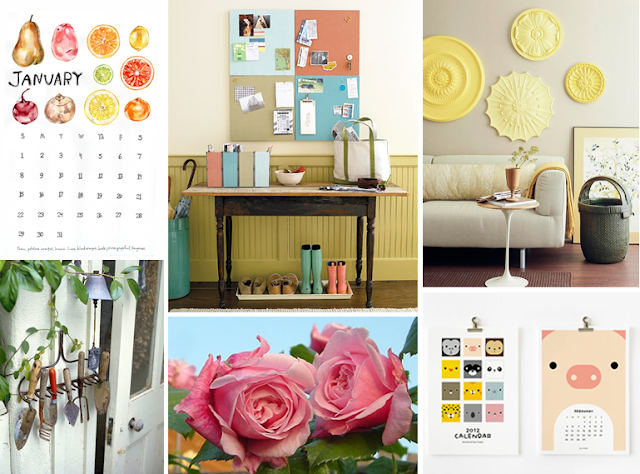 There was so much great content, we've decided to share it in a series of three posts over the next couple weeks. To start, here's an intro to our panelists and an overview of the modes of learning. Introduction to Topic: Students must undergo long-term preparation for long-term success and that requires a strategic focus by parents. Thoughtful academic choices, coupled with awareness of risk taking and understanding that today's students are complex, global, digital natives, are the keys to success. Modes of Learning: While 60% of the population is now believed to be multi-modal, it’s important for students to understand what their top mode(s) of learning are and how to capitalize on them. Visual Learners – take notes on unlined paper where space is unrestricted by lines/graphs and blank space is conducive to little drawings and pictures. Auditory Learners – make songs to help memorize facts or use mnemonics like ROYGBIV. Listen to music while studying to get relaxed (music without lyrics at 60 beats per minute—like classical music from the Baroque period). Kinesthetic Learners – LOCI method to associate locations with certain topics. Take a walk around the neighborhood with your stack of flash cards. Memorize a fact while standing in front of a certain tree or mailbox, etc so that you recall the fact when you think of the location. Read/Write Learners – Re-read text or re-write notes repetitively to memorize facts. Next Wednesday, look for our second post on this topic, written by one of the event speakers, Rajeshri Ghandi, on the topic of self-efficacy. Get a jump-start on a healthier new year by making good nutrition a regular habit. Planning ahead and having healthy foods available and in sight are great ways to start building good nutrition habits that last. Studies show that children who eat breakfast perform better on cognitive tests and in school. Balanced breakfasts include a source of protein, fat and carbohydrate, to help satisfy hunger and fuel the brain until lunch time. 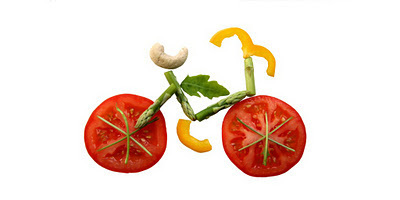 Low-fat meat, eggs, nuts, tofu or dairy products provide good sources of protein. A healthy breakfast doesn't need to be extravagant or take a long time to prepare. Try something simple like a hard boiled egg, whole grain toast and 100% fruit juice. Or a bowl of whole-grain cereal with banana and reduced-fat soy, rice or regular milk. If you’re not hungry in the morning, a fruit smoothie made with yogurt can make breakfast easier to swallow and tastes great. School-age kids need between 1 1/2 to 3 cups of vegetables and 1 to 2 cups of fruit each day. After-school snacks are opportunities to help get the fruits and vegetables needed every day for good health. Have ready: sliced fresh fruit for after-school snacks or raw veggies such as carrot or celery sticks, and bite size tomatoes for munching. Edamame (young soybeans) are fun to eat and make a great and satisfying snack. Classic “ladybugs on a log” are ever popular. Just slice celery into two- or three-bite pieces, fill with peanut or almond butter, and line with raisins or dried cranberries, and, presto, you have a high protein, high fiber snack. Homemade mini pizzas are easily prepared with pasta sauce, grated cheese, olive or pepper slices on whole grain English muffins or pita bread popped in the toaster oven. Yogurt smoothies are also a great way to satisfy a sweet craving while providing protein calcium and B vitamins. Studies show that the earlier healthful habits are formed, the easier they are to maintain. If children grow up with more healthful and flavorful snacks, it will support eating habits through their teens and young adulthood. HOW TO is your child ready for kindergarten? Shelia Rafat, Admissions Director at the Citron Campus, has had the opportunity to meet with hundreds of soon-to-be kindergartners over the course of her career. 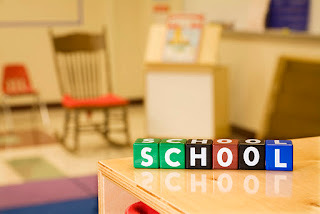 She recently conducted a Fairmont Chalk Talk on how to tell when your preschooler is ready for the big "K". While there is no perfect formula that determines when children are truly ready for kindergarten, she shared the following checklist. And don't worry if your little one isn't an ace with her ABCs just yet. According to Ms. Shelia, and others in early childhood, what's more important is that your child demonstrates a willingness and eagerness to learn. Sorts similar objects by color, shape and size. 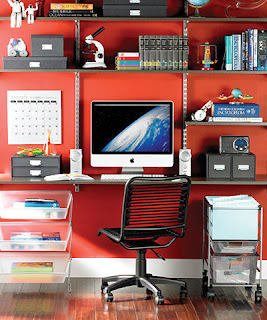 Can pay attention for short periods of time to adult-directed tasks. Identifies the beginning sounds of some words. Speaks in complete sentences of five to six words. Identifies alphabet letters and their sounds. Recognizes some common sight words. Recognizes groups of one, two, three, four, and five. Can share and play with others. Can look at a picture and then tell a story. Chinese New Year celebrations begin on January 22 (Chinese New Year's Eve) and run through February 6 (Lantern Festival). 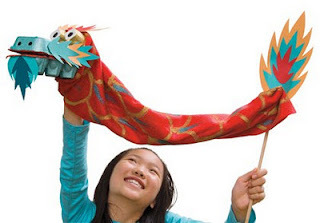 Usher in the Year of the Dragon by crafting this pint-sized dragon puppet from FamilyFun magazine. The dragon is the fifth sign of the Chinese zodiac and it is regarded as an auspicious symbol which stands for power, good luck, success, and happiness. While you're at it, order up some dumplings from your favorite Chinese restaurant and dig in--with a lucky circular shape they represent coins and are super lucky (and delicious)! The Teaching Channel on campus last summer filming one of Fairmont's great teachers in action. An article published by the New York Times on January 6th cited a recent study by Harvard and Columbia economists that shows highly effective teachers have a long-term impact on their students' success. According to the study, students with great teachers are less likely to become pregnant as teenagers, more likely to attend college and earn more when they enter the workforce. The study is the largest look yet at the controversial “value-added ratings,” which measure the impact individual teachers have on student test scores. Teachers unions argue that using test scores to determine teacher quality is harmful and misleading. Others say test scores are an objective measure of a teacher's effectiveness in the classroom and call for accountability. Regardless of your viewpoint, this study is groundbreaking in assigning a monetary value to poor, average and great teaching. In my mind, and in the minds of many Fairmont parents, a great teacher is priceless! Click here to RSVP. We hope to see you there! Don't forget that there is NO SCHOOL on Monday, January 16th in honor of Martin Luther King, Jr. Day. Read all about this national holiday in our blog post. We invite you to join us at our inaugural joint open house event as we kick off the New Year and launch our 2011 Report Card. This is the first time in Fairmont history that all five campuses will be together in one location, and you won't want to miss it! 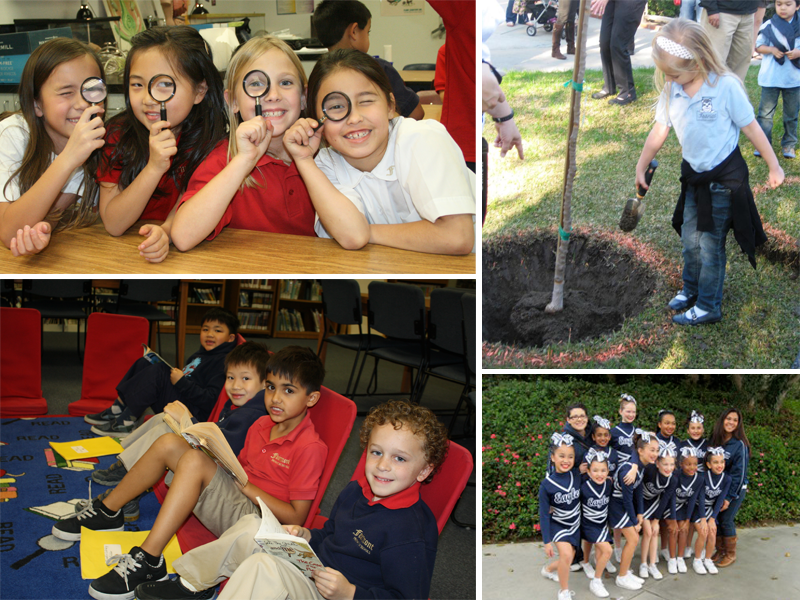 Preview your child's next grade level while exploring our art and science exhibits and enjoying student performances and informative presentations. Spend time with fellow parents and meet families and teachers from other Fairmont schools. Bring your children along to play with their school friends-kid's activities will include treasure map crafts and pirate themed face painting at our Summer Programs table, photos with our mascots, and a milk and cookie bar! Extracurricular Classes Our winter session of extracurricular classes begins next week. 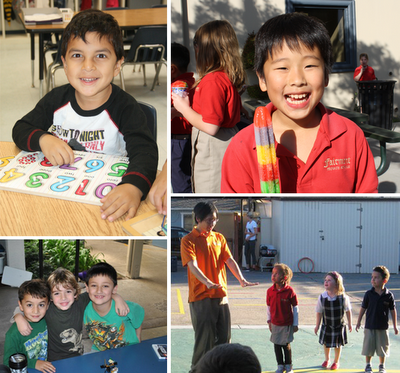 Our enrichment classes provide excellent opportunities to students to explore foreign languages, sports, and more. Be sure to check out your campus e-newsletter for the list of classes offered and sign-up details. We kicked off our 2012 Spring Chalk Talk series last night at the Anaheim Hills campus with an event called "Becoming Bilingual." The event began with a screening of the documentary Speaking in Tongues, which follows the story of four students in San Francisco along their path to learn a second language. The film addresses the American trend towards remaining an "English only" nation, and the limitations that trend will put on future generations in an increasingly global economy. After the film, we held an open forum discussion on the topic of language learning facilitated by Krystin Kim, a Fairmont parent and owner of the North Orange County division of Lango; Denise Cabanel-Bleuer, Spanish Professor at Orange Coast College; and Sandy Cosgrove, Fairmont's Director of Education. We were thrilled to have a fantastic audience that posed great questions and offered insight into the importance of language learning for children and adults alike. Learning a second language offers students a variety of developmental and cognitive benefits, including: higher self esteem, opportunities to connect with other generations, enhanced cultural awareness, reduced risk of Alzheimers, and increased job opportunity. All of these benefits increase when students learn more than two languages. The prime window for language learning begins at birth and closes around age 13, when the child's brain is still developing and language can be absorbed rather than taught in translation mode. When learning a second language, children learn the most from their friends, not from parents, so parents don't have to fear not knowing the language their child is learning. The bottom line? Everyone can and should learn a second language, and the earlier you start, the better! All Fairmont students begin taking Spanish in first grade, and Fairmont also partners with Lango to offer after school language enrichment starting at the preschool level. Contact your campus Activities Director if you're interested in signing up for Lango classes this term. Kids love computers! Making the time they spend in front of them both fun and educational is where parents and teachers come in. Here are a few suggestions for websites that pique children's curiosity and engage their minds while providing a fun-filled online experience. Starfall is one of the best literacy sites for early childhood using games, songs and animation to introduce children to reading. Their systematic phonics approach, in conjunction with phonemic awareness practice, is perfect for preschool-second grade. A new Starfall More site also features K-2 math games. PBS Kids is a wonderful companion to PBS's educational TV programming with games themed to each show that cover reading, science, math and more. Great for preschool-third grade. Fun Brain was selected by FamilyFun magazine in its September 2010 issue as one of the top ten websites for kids. It provides a safe gaming environment that bridges learning and entertainment. Weatherwizkids was designed by a meteorologist and introduces children to the fascinating world of weather. It’s also a wonderful educational website for teachers and parents to give them the right tools to explain the different types of weather to children. Best for kids second grade and up. National Geographic Kids website has won a number of awards for design, innovation and educational content. Games, videos, quizzes and tons of fascinating facts make this a favorite for nature and animal lovers and kids who are super curious about the world around them. Congress passed the holiday legislation in 1983, which was then signed into law by President Ronald Reagan. A compromise moving the holiday from Jan. 15, King's birthday, which was considered too close to Christmas and New Year's, to the third Monday in January helped overcome opposition to the law. The federal holiday went into affect in 1986. Did you know? A number of states resisted making MLK Day a holiday. Arizona governor Evan Mecham rescinded MLK Day as his first act in office in 1986, setting off a boycott of the state. What better way to honor the life of Martin Luther King, Jr. than to roll up your sleeves and get involved in your community! This video from the Corporation for National and Community Service is sure to inspire you and their homepage provides links to community service projects in your area. Thirty eighth graders from the Fairmont junior high program learned that they were members of the Husky Elite (Class of 2016) this week. Students earned this honor by being among the top 10, according to grade point average, in their campus' eighth grade class. Each member of the Husky Elite receives a scholarship to be applied toward all four years of their annual tuition at Fairmont Preparatory Academy. The Husky Elite program began in 2011 as a way to recognize Fairmont’s top achieving students as they graduate from 8th grade. Husky Elite honorees and their families will celebrate at a reception hosted by Fairmont Preparatory Academy on February 8, 2012. We are proud to recognize the Husky Elite winners and congratulate them on their achievement! See the campus e-newsletters below for the list of winners. Our DSL and Tri-Way basketball season has begun. Be sure to check your campus e-newsletter for the rosters and game schedule. Come cheer on our teams and show your campus pride! 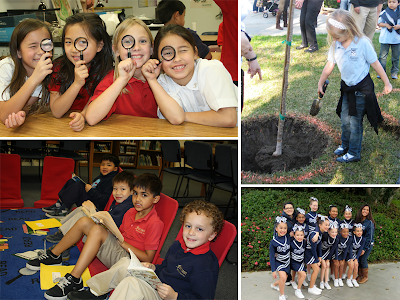 We're kicking off 2012 with five great community events. Mark your new 2012 calendars and invite your friends to come along as well! The Fairmont family invites you to join us at our inaugural expo event as we celebrate the new year and launch our 2011 Academic Report Card. Experience the Preschool-High School academic and summer programs offered by our five OC schools. Exhibits include musical performances, student panels, art gallery, academic outcomes, college outlook presentations, and more. Visit with Fairmont teachers, administrators and families to learn more about our programs. In an increasingly global economy, being bilingual is a huge advantage. Speaking in Tongues, an award- winning documentary, narrates the trend of secondary language immersion starting in preschool and Kindergarten, the prime time for language learning. Join us for a special screening of the film and to participate in an open discussion about language immersion facilitated by language professor Denise Cabanel-Bleuer and Fairmont’s Director of Education, Sandy Cosgrove. Bring your children along for language learning games & activities provided by Lango (Fairmont's Mandarin extra-curricular class provider). Join the Fairmont family at our inaugural Fairmont P-12 Expo event and discover how Fairmont uses data to measure and improve academic outcomes. Director of Education, Sandy Cosgrove, will share Fairmont's 2011 results as we launch our 2011 academic Report Card. The Fairmont Expo runs from 10am-2pm - come early or stay late to enjoy musical performances and special activities with your family. The Internet offers limitless opportunities for young learners, but it can be a dangerous place if children lack key safety rules. Join Monique Nelson, Chief Operating Officer of OC-based Web Wise Kids to learn how to keep your kids safe as they surf the web. Children are welcome - interactive Internet safety games developed by Web Wise Kids will jump start your critical conversation and provide entertainment. Chalk Talk: Special Week of the Young Child Workshop! Are you ready for preschool but not sure about your toddler? To celebrate the Week of the Young Child, we invite you to an Early Childhood Education workshop. Beginning with Potty Training 101, our expert will help you breeze through the process with some simple potty training tips and tricks. Our next topic is a comprehensive Preschool Readiness presentation from a seasoned early childhood educator. This event is geared for parents with children ages 1-3. Children are welcome!